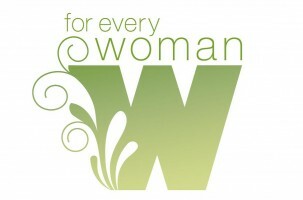 “Becoming a Woman of Influence” Sunday School Class is being help at 9:30am, on Sunday mornings. In this class, Best Selling Author, Carol Kent teaches us how to make a lasting impact on others. We will watch a DVD Series of teaching, memorize scripture and complete a Bible study that will inspire us to intentionally influence other women for Jesus. Ladies Bible Study is held on Thursday Mornings, from 10;30 to 12:30. We meet in the church kitchen. We are studying from the book: “What God Really Thinks About Women”, from author Sharon Jaynes. Please join us as we enjoy the study of God’s Word with food and fellowship around the table. Ladies Tea is held on the third Saturday of the month. Our Teas are either hosted in a lady’s home or at a local restaurant. We being at 9:30 am. This is a great way to get to know one another. “Time Apart” is our annual event hosted by Lisa Bosse, our Ohio Ministry Network’s Women’s Ministry Leader. At this event women, from all over Ohio, come together to enjoy a weekend of worship and dynamic teaching from the Word of God. We enjoy the teaching from well known authors and speakers from all across the country. We also help to fund missionary projects around the world. “Secret Sister” is an especially fun part of our Women’s Ministry. Every year ladies from the church secretly exchange names. Then, through the year, we remember to pray for and, on special occasions, honor each other with gifts, cards, etc. We exchange names prior to Christmas. This is another great way to get to know each other. ‘Cookie Exchange” is a favorite activity of many. If you like to have a variety of cookies for Christmas but, don’t like the hours of baking time then, “Cookie Exchange” is for you. Early in December, we ask ladies to bake six dozen of one kind of cookie then we come together and exchange all of them. You will go home with several kinds of wonderful cookies to share and enjoy during the holidays. Our Mother/Daughter Banquet is a fun time for all of the ladies in our church, whether you are 1 or 91. This event is held close to Mother’s Day and is a time that we enjoy honoring our mothers. We always enjoy great food and fellowship. At this event we have our purse auction which helps to support missions and fund our Women’s Ministry.